When we visited Conor and ‘the Wife’ in Tipperary, she made us a wonderful meringue cake with raspberries using her mother’s recipe. It was lovely and we loved it. I decided then and there that I would bake one too, using Italian amarena cherries instead of raspberries as they are great with almonds. 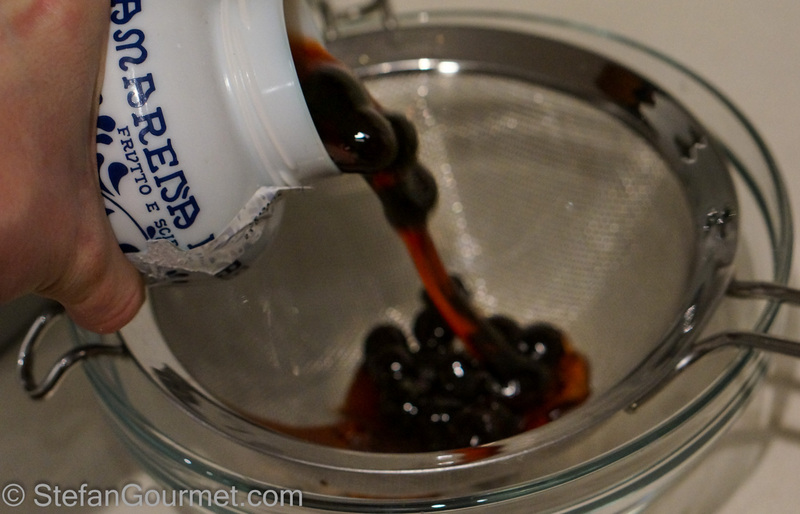 Amarena cherries are dark sour cherries from the region of Emilia Romagna, sold in jars with syrup. They are very aromatic and have great depth of flavor. In honor of Noreen’s recipe I’m also calling this a meringue cake, but it is also known as pavlova. This type of cake was invented in Australia or New Zealand in the 1920s to honor the tour of a Pavlova the Russian ballet dancer. A pavlova consists of meringue that is crispy on the outside but soft on the inside, whipped cream, and fruit. As I had expected, the combination with beautiful Italian amerena cherries was simply divine. 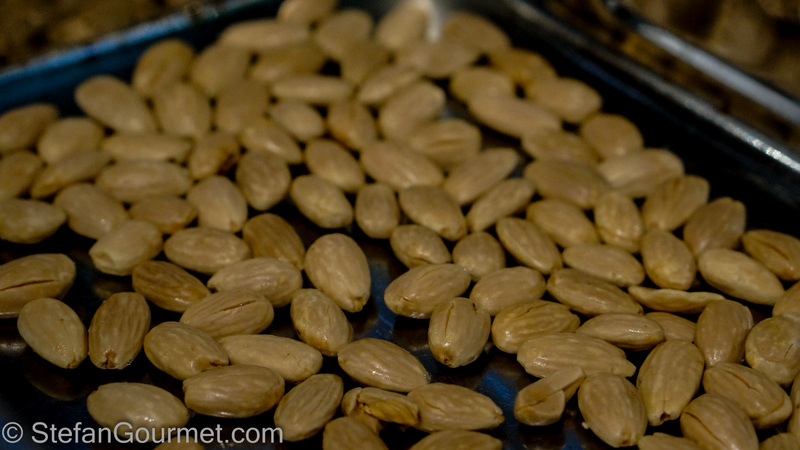 Roast the almonds for 10 minutes at 180ºC/350ºF or until nicely golden. Lower the thermostat of the oven to 150ºC/300ºF (fan forced). 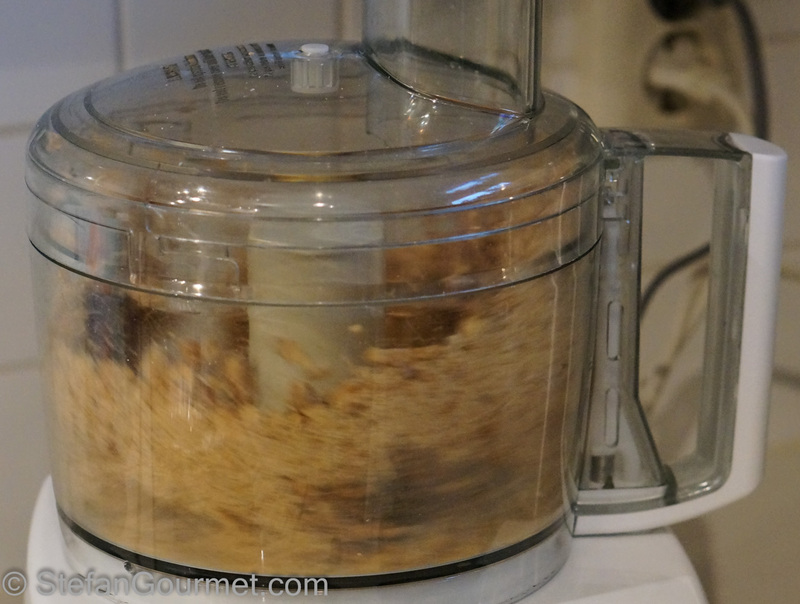 Transfer the almonds to the food processor, and grind them. They should be finely ground, but not as fine as almond meal. 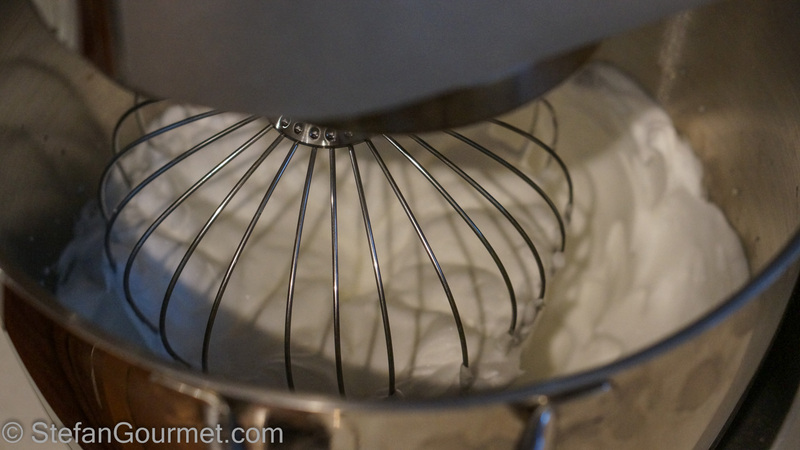 Whip the egg whites in a stand mixer fitted with a balloon whisk until quite stiff. 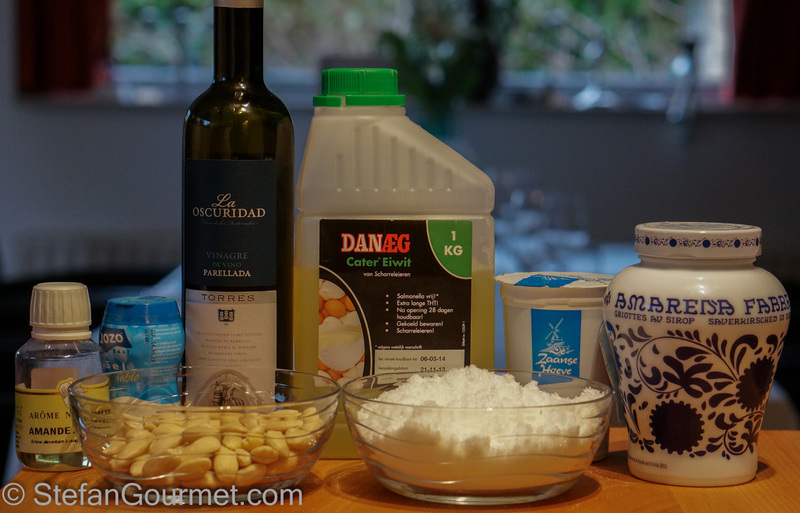 Add the vinegar, almond extract, and salt, and continue to whip until ‘stiff peaks’ are obtained. 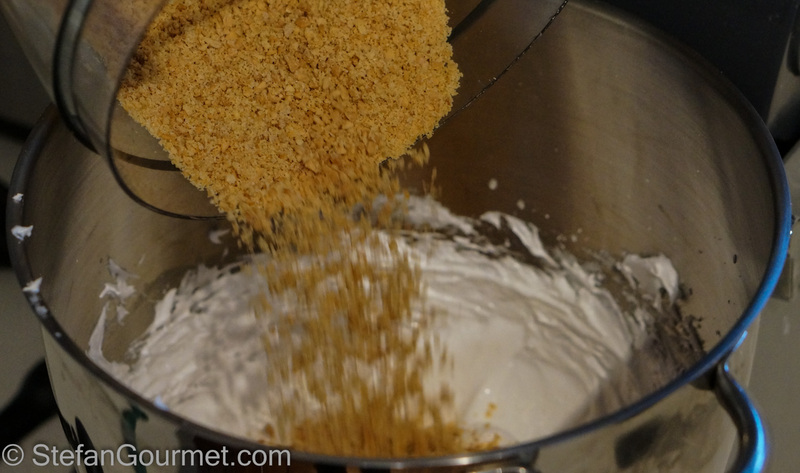 Slowly add the sugar while whipping until it has been incorporated. This is not a gratuitous meringue shot, as it is to show you what it is supposed to look like at this stage. 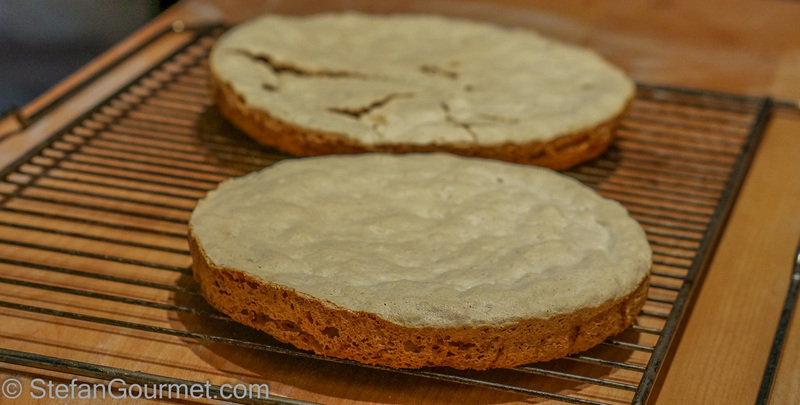 …and gently fold them in with a spatula. 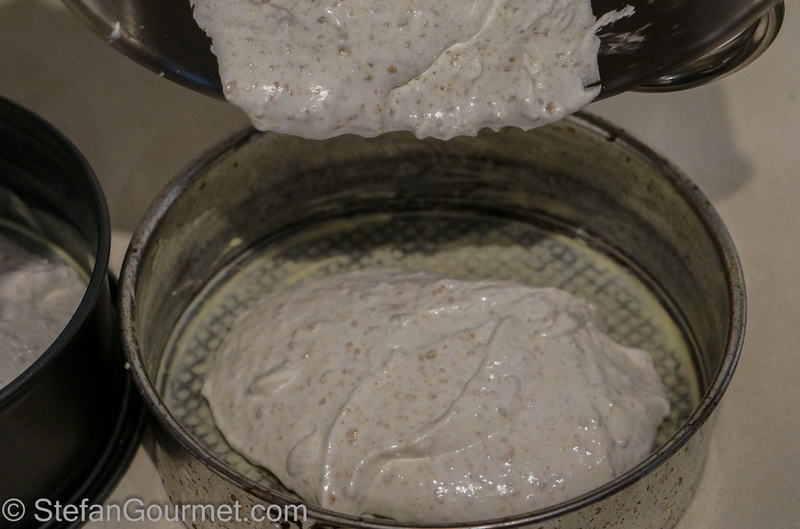 Continue until the mixture is homogeneous, trying to keep the mixture as airy as possible. Butter two 20 cm (8″) cake tins. 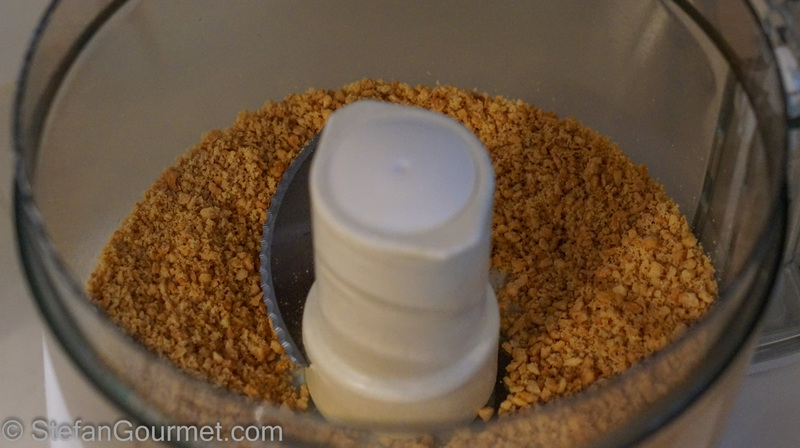 Line them with parchment paper and butter the parchment paper as well. 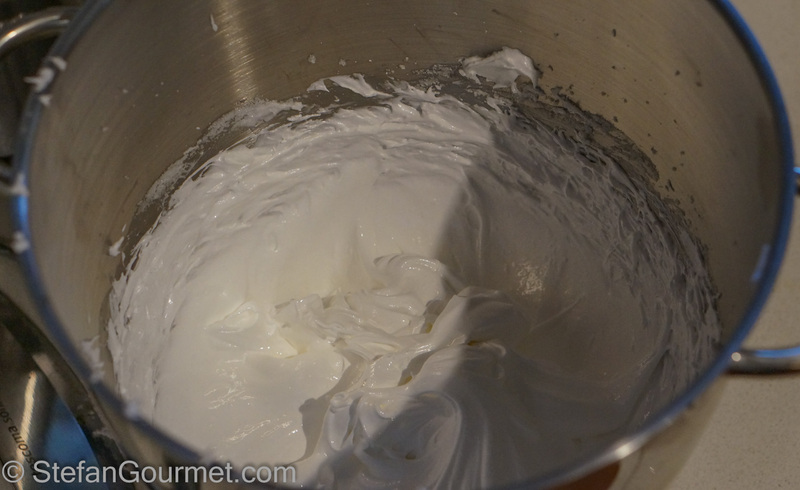 Pour the almond meringue into the the tins. Flatten the tops, and tap the tins on a hard surface to release any trapped air. 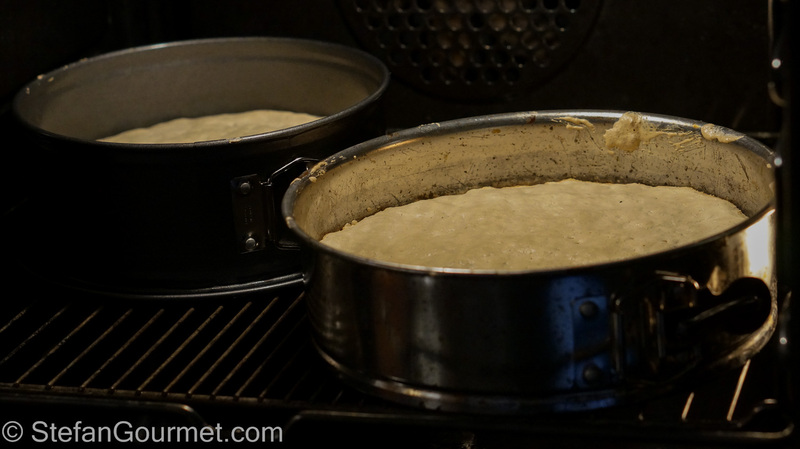 Bake for 40 minutes at 150ºC/300ºF (fan forced). Allow the meringue discs to cool on a rack. 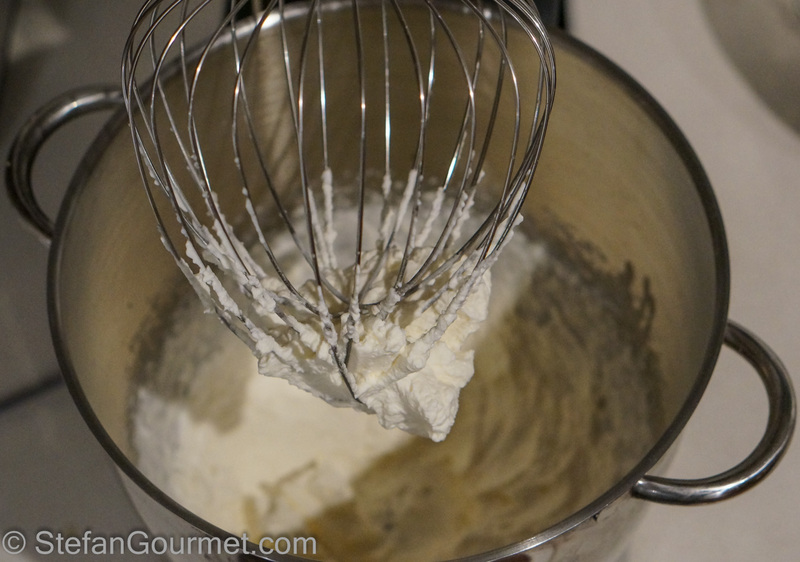 Whip the whipping cream with the sugar and vanilla extract, again using the stand mixer with the balloon whisk (clean it first though). 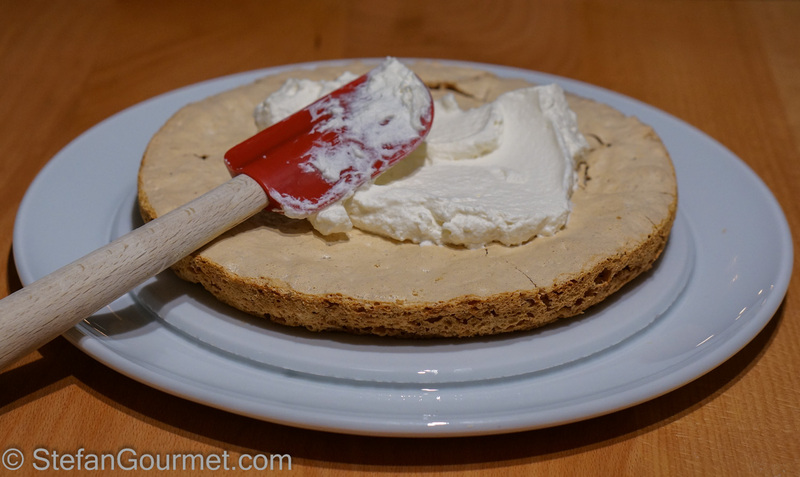 Put one meringue disc on a serving plate and cover it with the whipped cream. 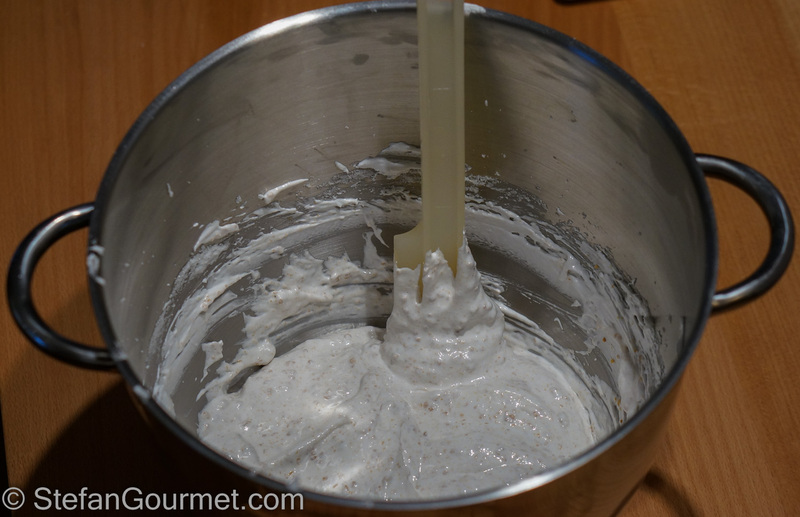 Continue to add more whipped cream until you have used all of it. Arrange the cherries on top of the whipped cream. Slice carefully and drizzle each slice with some of the amarena syrup. 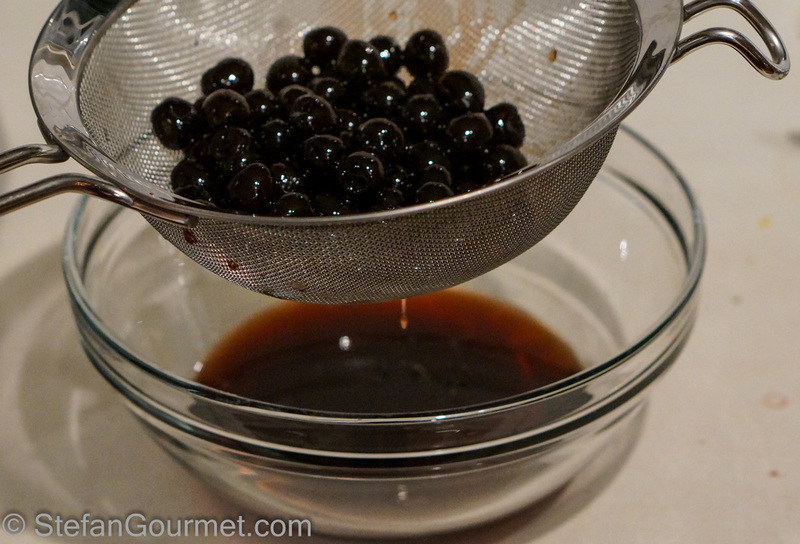 You could also garnish with shaved dark chocolate. This calls for a red dessert wine. 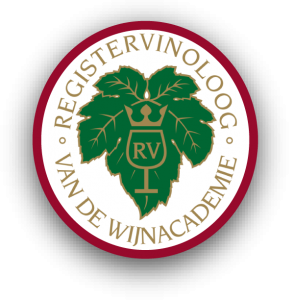 My favorite is Recioto della Valpolicella, which is a sweet Valpolicella made from dried grapes. 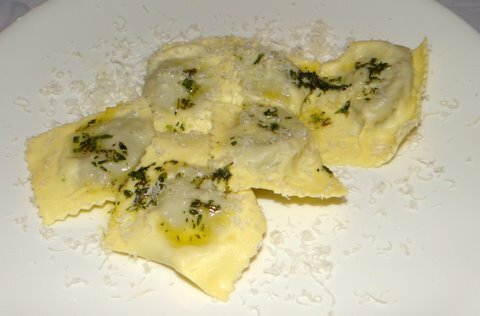 Two years ago I posted about ravioli stuffed with lamb and eggplant. It is a recipe I developed myself that turned out absolutely delicious. Boy, oh boy…does that ever look so good! 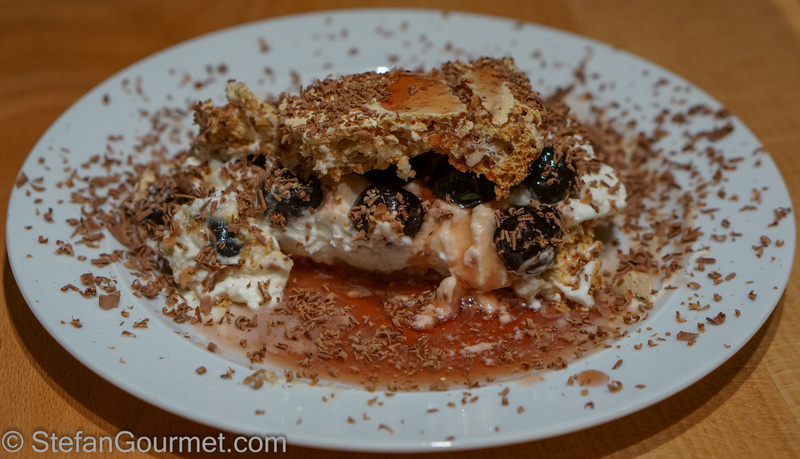 Makes me hungry for a truly decadent homemade dessert! LOL! My goodness, I’m so happy to be here today to see this beautiful meringue cake. I had no idea those cherries even existed and now I want to hunt them down at my local, Italian grocery store. I wonder if a drizzle of the syrup with the addition of shaved chocolate would be too much, but I think both would be just perfect. Thanks, Allison, for visiting my blog and taking the time to comment. If your local Italian grocery store doesn’t carry them, Mimi has found an online source in the US for them. Fantastic Stefan. Noreen will be impressed that you have taken it up a couple of notches. Bravo! Thanks, Conor. I would say this is at par with Noreen’s cake. I hope she’ll approve. It’s just that this time of year it is better to use cherries in syrup rather than so-called fresh raspberries that are imported from Mexico and have no flavor whatsoever. This is beautiful! I can get that same brand of amarena cherries from igourmet.com, which makes me very happy! Great! The founder of the brand (Fabbri) also ‘invented’ these cherries. Thanks, Shanna. I’m sure you’ll love this. What a stunning cake Stefan! 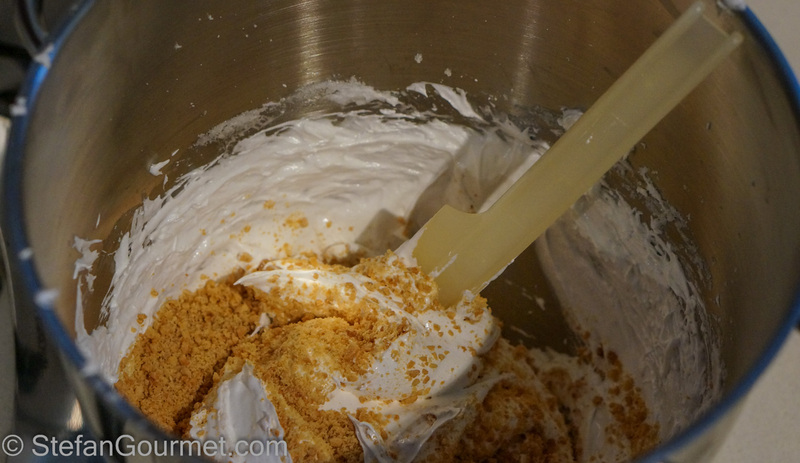 The meringue looks wonderful and I am in love with the idea of that gorgeous syrup! Glad that you and Conor had a chance to meet up with your respective partners. I often wish I could visit some of the wonderful bloggers I find in the blogosphere but the distance seems so prohibitive at times. Lovely post, have a wonderful valentines day! Where there is a will, there is a way. Of course, it helps a lot if you travel quite a bit anyway like we do. What a great dessert! It make a beautiful presentation and I like your idea of the chocolate shavings garnish. 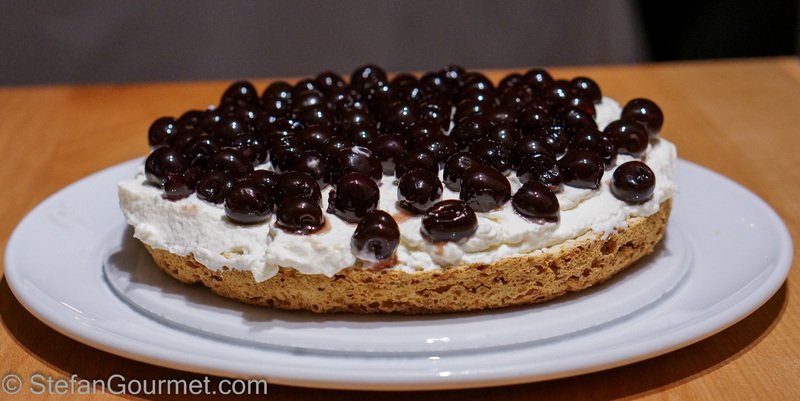 Though I’ve not been able to find amarena cherries here, I’ve heard they are similar — though not the same — as our tart cherries, which I love. Like you, I do like the combo of cherries with almond flavoring. I flattery is the sincerest form of flattery, I’d be highly flattered if the original was my recipe.